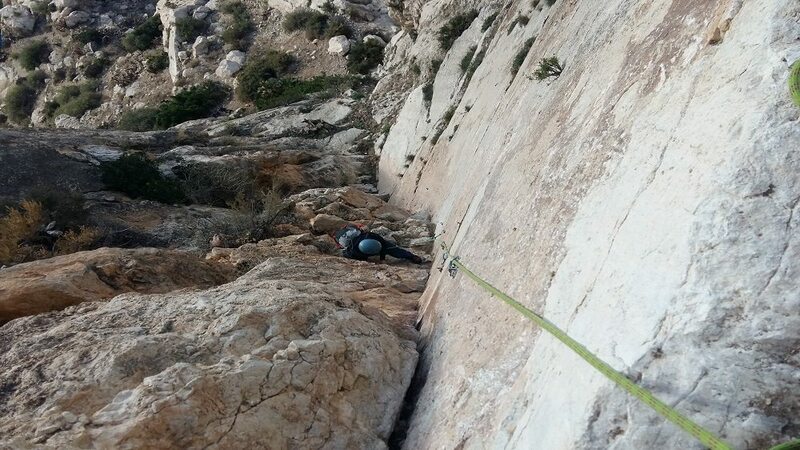 In today’s post, I would like to write about multi-pitch climbing in Costa Blanca. 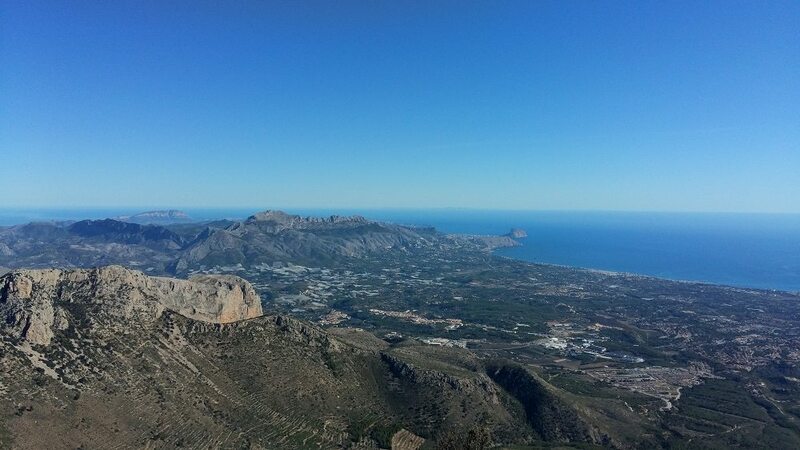 A lot of information could be found online about the great climbing area of Alicante in southern – east of Spain. I will focus in my post on practical, multi-pitch climbing tips and describe few recommended areas and multi-pitch climbs. Rent a car – without a car, it will be a great struggle to move between crags and your accommodation. The company I can recommend is RecordGo. Use directly their website – they do what they say! Weather is nearly always great but having warm fleece is good. Late September to late May is probably the best time to come. Summer – forget climbing but sunbathing – yes! Wear helmets as there is lots of loose rock – is limestone! Cover yourself, apply sun cream and take at least 1,5 litre of water as the heat might be the biggest problem! On multi-pitch climbing routes finding where to go might give you a headache as there are lots of routes and stances crossing over . Study your route beforehand and have a topo (route plan, photo) with you! For multi-pitch climbing, I always wear long trousers, I don’t burn my legs and especially if you descend by waking down, scratch then as sharp and spiky bushes are everywhere. Carry your approach shoes, you won’t survive all day in your climbing shoes. I use a hip belt for my phone and tape, sunglasses etc. the second climber should have a rucksack with water, food and clothes. On multi-pitch climbing routes have comfy climbing shoes! 60m rope would be the best shot. If you just sport climb on single pitch take 70m, for multi-pitch climb where abseil is needed you can take one 60m single and one 60m half rope which you carry in your rucksack and use for abseil. This system I have found very flexible. I can do single pitch sport climbs and multi-pitch climbs with abseils. Make sure you know how to tie together two different diameters of ropes! If you climbing in trio them two 60m ropes would be best. Sella – very popular venue but huge so no to worry about being busy. Mostly single-pitch routes but for more adventure climber there is big wall climbing as well. Easy accessible by car. Vall de Guadar (Echo Valley) – another easily accessible crag by car or a long walk from the Town Polop. 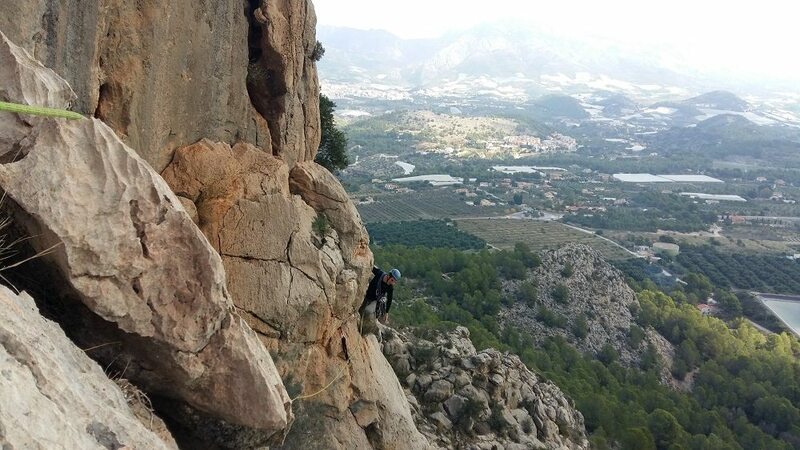 This is a great venue to start off (Paret de Bassa) – single pitch sport well-bolted routes and some good multi-pitch routes (Paret de Castellet). I can definitely recommend climbing “Via Esther” (trad route with fixed stances, could be done with single rope if you extend protection). You can scramble down from the top. Sierra de Toix – probably the most popular with many, many single and multi-pitch This is a playground for climbers with well-bolted routes everywhere, you can climb here multi-pitch route without the need of having trad gear! 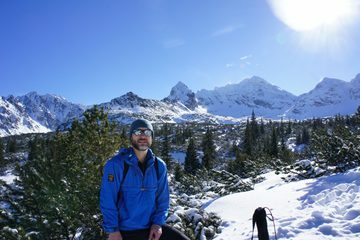 In the morning climb on north-west side at Toix Oeste to avoid a heat and in afternoon move to the other side – Toix Este. Abseiling is the only option to go down on both sides of the crag. I have climbed here many routes and my recommendation for multi-pitch would be:”Espolon Limaban”, “Cliber”, and” Del Pas” on Toix Oeste, and “Horst” on Toix Este – Left. Mascarat – a good venue but with a bit complicated access and decent and lots of car traffic underneath Here abseil would be better choice them waking down. Trust me! The popular climb is “Llobet/Bertomeu UBSA” (trad gear recommended) good route but bit scrappy. In the end, obviously, there is a great rock of Penon de Ifach peering above the sea. This is more serious undertaking and should be a plan with an early start (8am-9am). You definitely need a trad gear as even if pitches are bolted you might find this bit The obvious decent is by tourist path on the north side, you can them climb using one 60m single rope but bear in mind that you are cutting off your option for abseil if anything goes not exactly to the plan. Route finding might be tricky and you might find yourself climbing something you didn’t plan to climb. 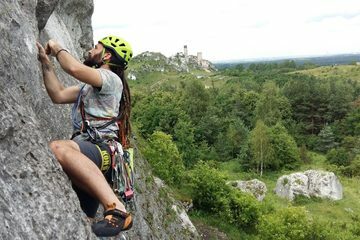 Recommended routes: “Via Valencianos” which could be climbed more directly as a combination of this route and “Polvos Magicos” and a great route “Diedro USBA” – look at your topo carefully on this! Bernia Ridge – exceptional venue, best approach from the north side (village Pinos) a huge undertaking if you want to do the whole ridge but could be broken down to shorter section. Great scrambling trip with one mandatory abseiling (so you need to carry rope, harness and belay device) and one short climbing section (quickdraws ). Highly recommended in good weather if you want a change from climbing vertical walls but very exposed to elements. I hope that info will help and encourage you to go and climb some great multi-pitch climbing routes in Costa Blanca. Fly to Alicante – rent a car and enjoy – is a truly amazing experience. Check my private climbing lesson page if you need somebody to take you there!